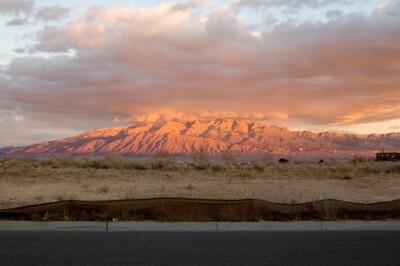 Michelle - That picture of the Sandia's is fantastic. Crop out the vacant lot and sell it! Also, Kim Jew's is my favorite photograph studio in Albq. - check it out. Good luck on your job search - have you considered doing dome free lance work for the New Mexico Magazine or other regional publications? I think you would be great at it. it's funny that you mentioned both of those things, because Kim Jew was a studio that I was considering applying for...and I just might do that. I've also been considering free lance work...I just can't decide which area to focus on! !